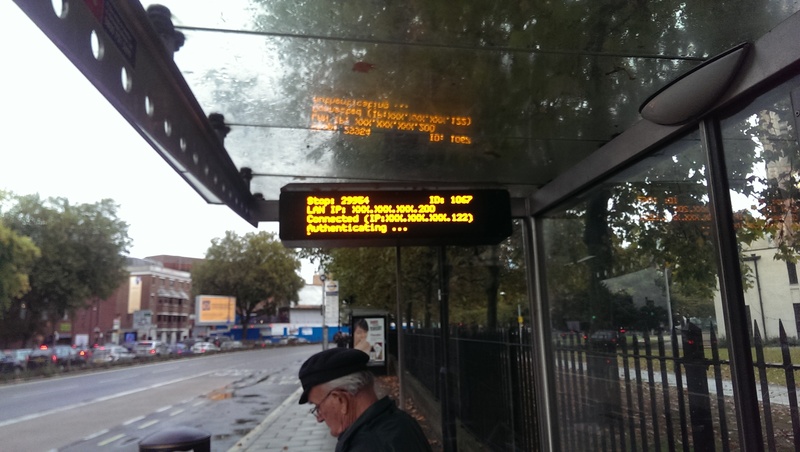 I’ve been taking buses a lot more since moving to Barnes. Mainly either from Hammersmith to my house or my house to Barnes Station. In Hammersmith the other day I noticed this on one of the bus stop notices. Someone obviously needs to do a forced restart. Turning it off and on again will probably fix it.